Saugerties, NY (April 12, 2019) – A woman from Hudson Valley has been arrested after she ran over a man with her vehicle outside of his home on Thursday, April 11th. 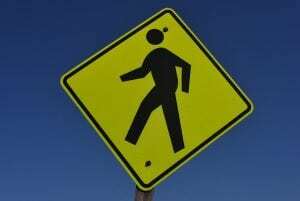 Police were reported to have received a report of a pedestrian who had been struck by a motor vehicle at an unspecified time on Cottonwood Drive. Following an initial investigation, police determined that Gloria Dee, 57, of Olivebridge, struck 65-year-old Scott Steyer while reversing out of Steyer’s driveway in her 2014 Volkswagen. Saugerties Police stated that the two had been drinking together and Dee dropped Steyer off in the driveway of his home. Steyer then went to check his mailbox when Dee reversed her vehicle and struck the victim. The impact of the incident knocked Steyer to the ground, at which point Dee ran over and broke one of his legs. Emergency medical crews were called to the scene and Steyer was taken to the Health Alliance Broadway Campus in Kingston to be treated. Dee was subsequently arrested for driving under the influence of alcohol. Our genuinely sincere sympathies are extended to Scott Steyer, first and foremost, as we maintain hope for his full recovery. Pedestrian accidents in New York are often injurious or fatal, particularly those which involve an intoxicated driver. At this time, it is important for the victim to know that they may have substantial rights in terms of recovering compensation for injuries. Our New York accident attorneys at Hach & Rose have committed their lives to those who have suffered due to the actions of a negligent party. We understand that there is nearly nothing as difficult as dealing with a sudden injury, and we are here for you 24/7 to answer any questions you may have. If you have suffered injuries in a New York pedestrian accident, please do not hesitate to call 212-779-0057 today.